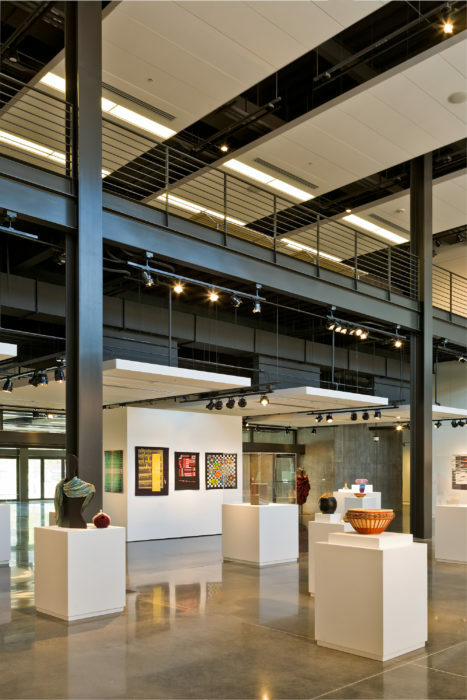 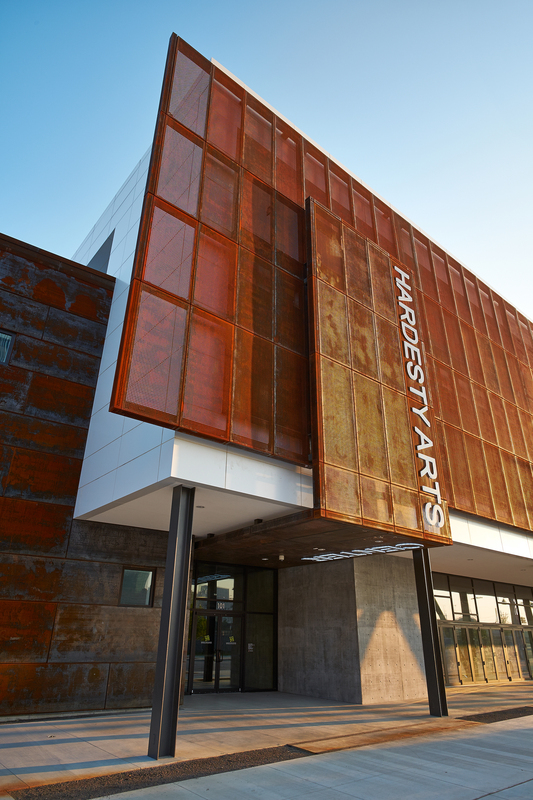 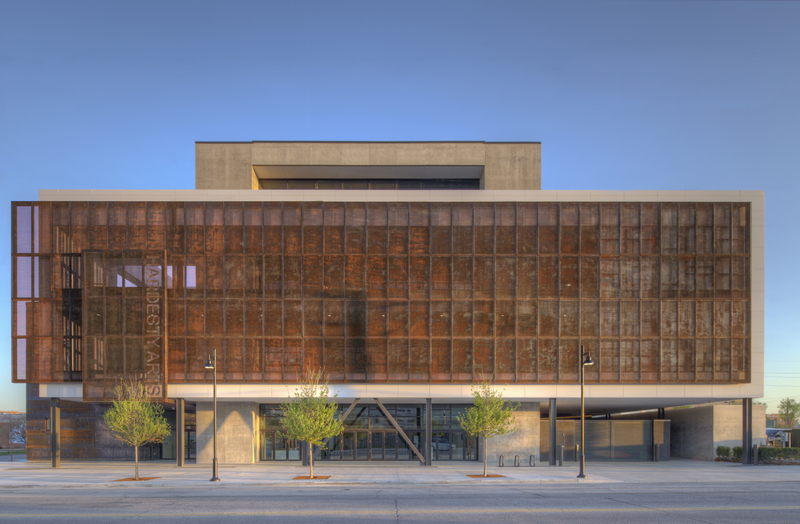 The Arts and Humanities Council of Tulsa Hardesty Arts Center, or AHHA as it’s known, is a four-story, 42,500 square foot visual arts center located in the heart of the historic Tulsa Arts District. 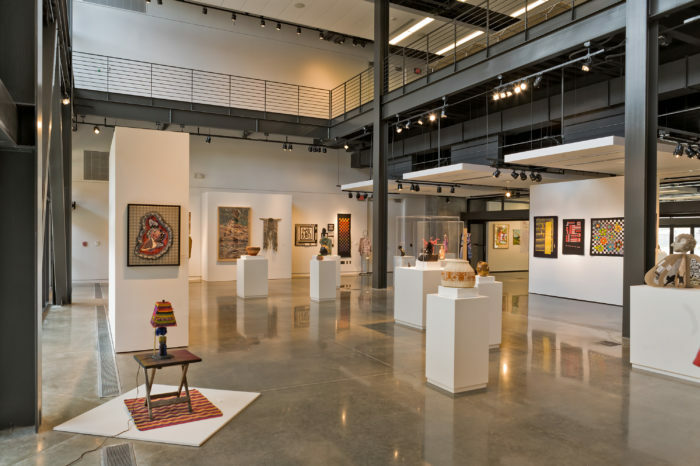 The facility houses studios, classrooms, administrative spaces, exhibition space, research library, and galleries for artists and students from all over the region to create and showcase their work. 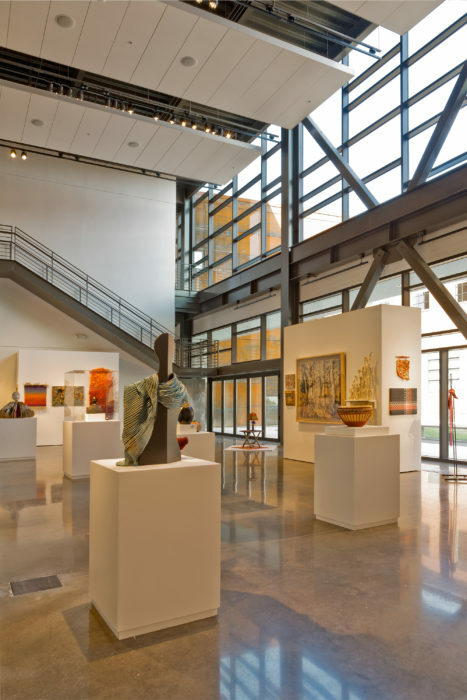 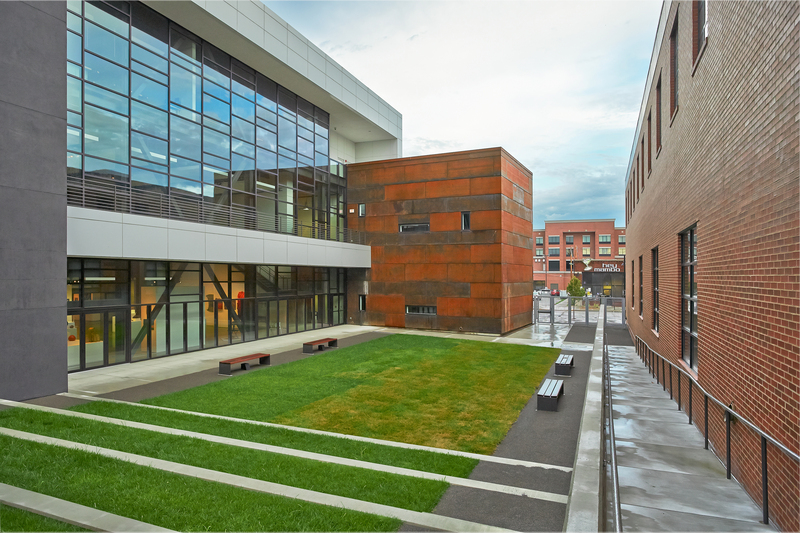 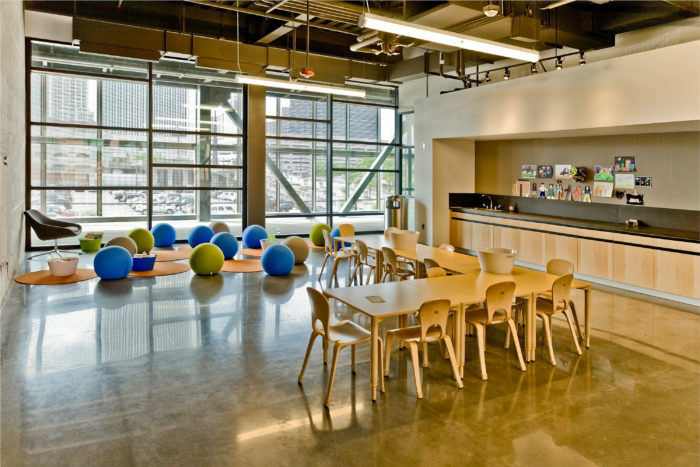 The arts center also features open terraces on the second and third floors, a catering kitchen, and a sculpture garden space that links the AHHA to the Mathews Warehouse complex, which was developed into visual arts and education venues. 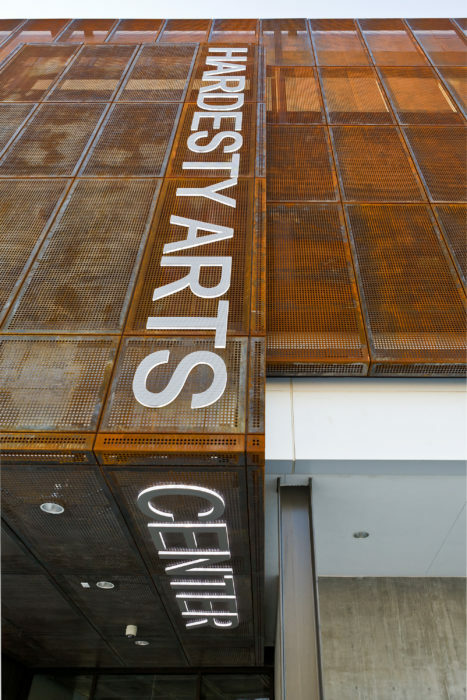 The primary goal of the center is to engage the community in the arts. 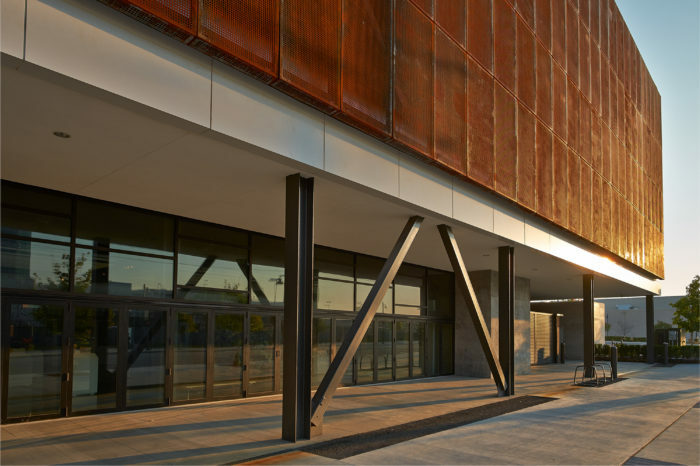 The ground floor opens to the community through a series of operable glazed panels, which allow pedestrians to participate in the activity within the exhibit spaces. 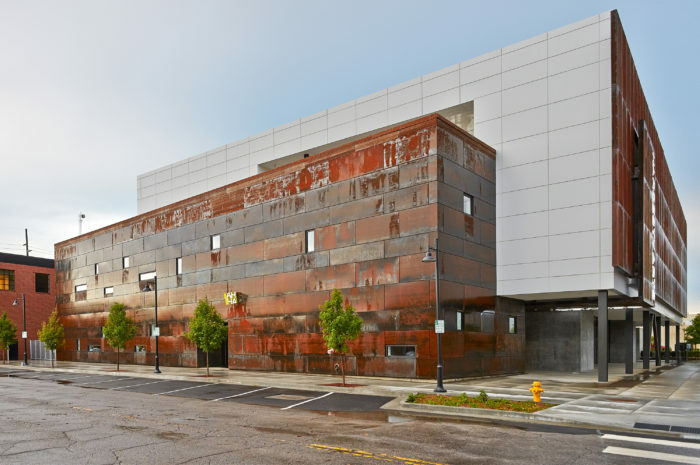 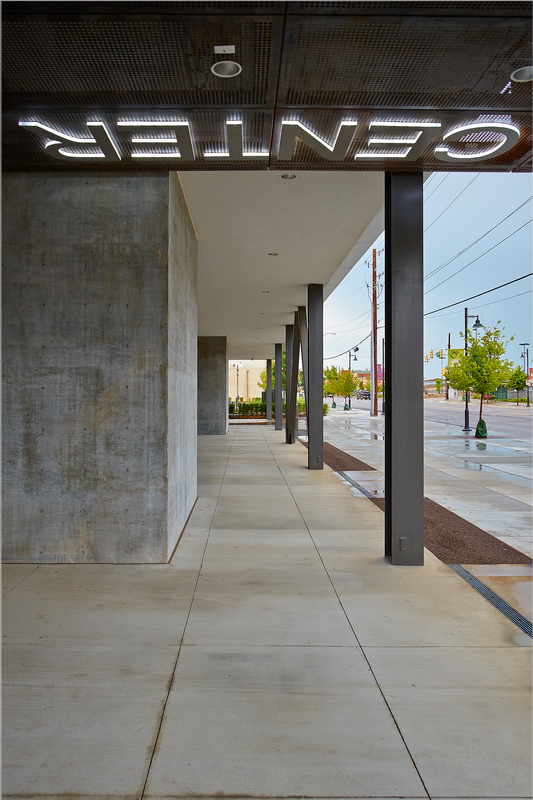 The education components of AHHA’s programs are veiled with a perforated weathered steel panel inspiring intrigue amongst the passersby, pulling the community into the creative processes taking place within. 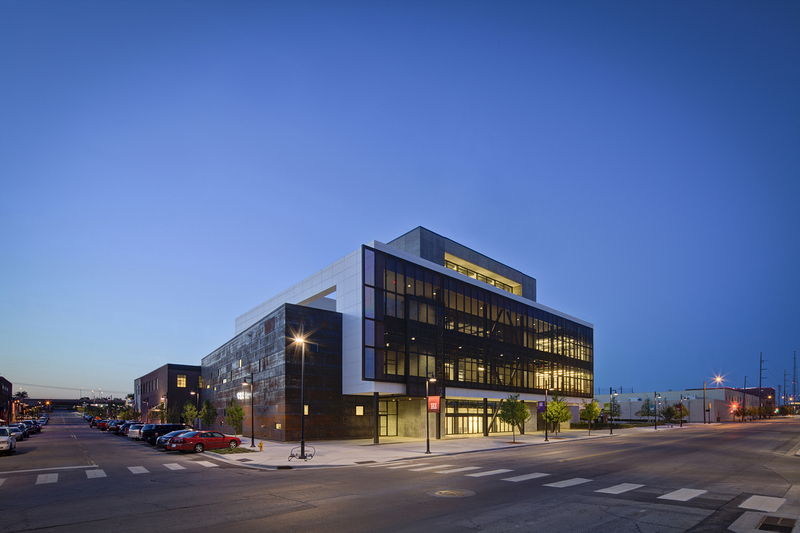 The project won a Citation Award from AIA Central States Region in 2014, an Honor Award from AIA Oklahoma in 2014 and an Honor Award from AIA Eastern Oklahoma in 2014.